In my experience, while there are a lot of novels that make me laugh on occasion due to various scenes and lines, it’s much harder to find something that consistently makes me laugh all the way through. 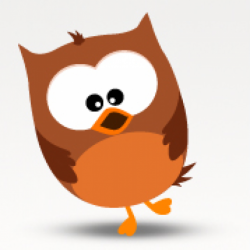 Humour is a tricky thing, as what is funny to one person might not be so to another (compare, for example, American and British senses of humour); it’s also difficult in that it is one thing to read humour but a whole ‘nother thing to write it. All that being said, Skulduggery Pleasant is a wonderful example of a book that hits my sense of humour pitch-perfectly. It’s snarky, it’s witty, and, well, British in its humour – I think if you are a fan of the humour found in shows like Blackadder or perhaps Doctor Who, you would enjoy the general feel of the humour in this. I know it made me very reluctant to put the book down and go to bed, and each turn of the page gave me something new to smile about, with many moments of banter between Skulduggery and Stephanie resulting in me laughing out loud. There is more than just laughs to this story though. It’s filled with darker moments – death and betrayal and monsters of various kinds – and victory and light are not things that come easy. Skulduggery Pleasant doesn’t shy away from the harsher truths of the situation, and is filled with moments that allow for expansions on morals, on what is right and good. Those morals don’t come across as condescending though, and while serious they are wrapped up in the humour that fills the pages of this book. The story is filled with an amazing collection of characters, with young Stephanie a shining example. She may be young and flawed, but she’s strong, brave, loyal and a lot smarter than anyone gives her credit for. While very new to the world of Skulduggery and doing her best to keep up, she is very pro-active (rather than simply reactive) and overall a very well realised character and a good role-model for younger reasons. The stand-out character though is very obviously Skulduggery Pleasant, the title character himself. Beyond the sheer awesome that is a skeleton detective who also knows magic, he is the central source of the book’s comedy – I would quote some of his best lines to give you a taste of what he is like, but that would result in me basically copying out the whole book (and that would be a real no-no). Larger than life yet very easy to grab onto (I very quickly began ‘hearing’ his voice as a combination of the voices of Rowan Atkinson and Hugh Laurie), he’s an excellent example of what I think of when I think of characters who are ‘quite the character’. 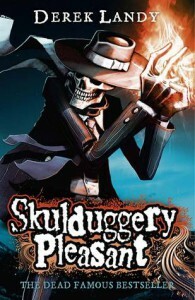 If you enjoy your battles between good and evil to be filled with hilarious lines as well as great characters and plotting, then I suggest you check out Skulduggery Pleasant. I know I am looking forward to the next books in the series with great eagerness.